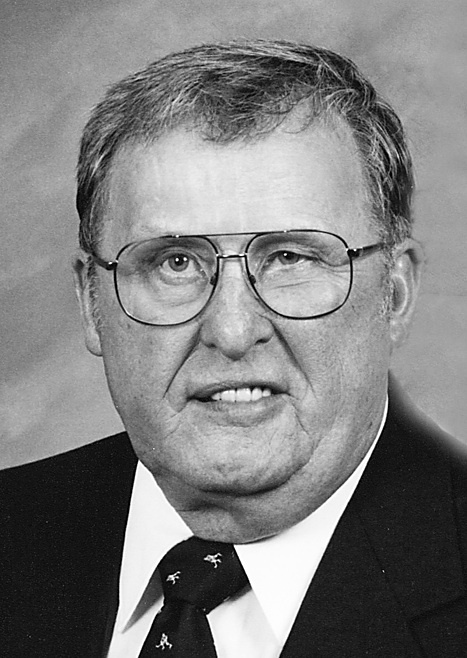 SAUK RAPIDS, Minn. – William “Bill” A. Frantti, 88, of Sauk Rapids, Minnesota, formerly of St. Cloud, Minnesota, died Thursday, November 17, 2016, at the St. Cloud Hospital. Funeral services will be on Sunday, November 20, 2016, at 7 p.m. at Bethlehem Lutheran Church, St. Cloud, Minnesota. Visitation will be Saturday, November 19, 2016, from 2 p.m. to 7 p.m. at Bethlehem Lutheran Church, St. Cloud, Minnesota. Burial will be in the North Star Cemetery, St. Cloud, Minnesota. Funeral arrangements were made by Benson Funeral Home, St. Cloud, Minnesota. Bill was born July 17, 1928, in Calumet, to Emil and Fannie (Parkkinen) Frantti. He served in the United States Army from September 1946 to June 1948. Bill married Katherine “Kathy” L. Rahkola in 1950 in St. Cloud, Minnesota. She died on November 1, 2003. In 2006, Bill was united in marriage to Ethel “Evie” A. Nieman Kosloske in Sauk Rapids, Minnesota. Bill taught at St. Cloud Technical High School for 30 years, where he also coached hockey and football. Bill was a member of Bethlehem Lutheran Church and St. Cloud VFW Post #428. He was also a member of the Minnesota Hockey Coaches Association, where he served as President. Bill was inducted into the Halls of Fame at St. Cloud Technical High School, St. Cloud State University, Minnesota Hockey Coaches Association and Minnesota High School Coaches Association. He was instrumental in initiating various hockey programs in the St. Cloud area including the St. Cloud Youth Hockey Association and the Kindergarten and Pre Kindergarten Program. Bill also chaired the committee for the construction of the St. Cloud Municipal Athletic Complex (MAC). After his retirement Bill volunteered with the hockey programs at St. John’s University, St. Cloud State University and St. Cloud Technical High School. Survivors include his wife, Evie Frantti of Sauk Rapids, Minnesota; children, Karen (Dean) Urdahl of Grove City, Minnesota, Robert (Marcia) Frantti of Calumet, Daniel (Debra) Frantti of Cold Spring, Minnesota, Amy Frantti of Minneapolis, Minnesota, Lora Frantti (David Wehlage) of St. Augusta, Minnesota; step-children, Robert (Lynn) Kosloske, Jr. of Apple Valley, Minnesota, Terri (Chip) Rothstein of St. Augusta, Minnesota; brothers, James Frantti of Calumet and Don (Gail) Frantti of Bete Gris; sisters-in-law, Irene Frantti of Hancock and Lois Shaltz of St. Cloud, Minnesota; 15 grandchildren; 19 great-grandchildren; five step-grandchildren; and six step-great-grandchildren. He was preceded in death by his parents; first wife, Katherine; sister, Lorraine Helminen; and brother Paul Frantti.